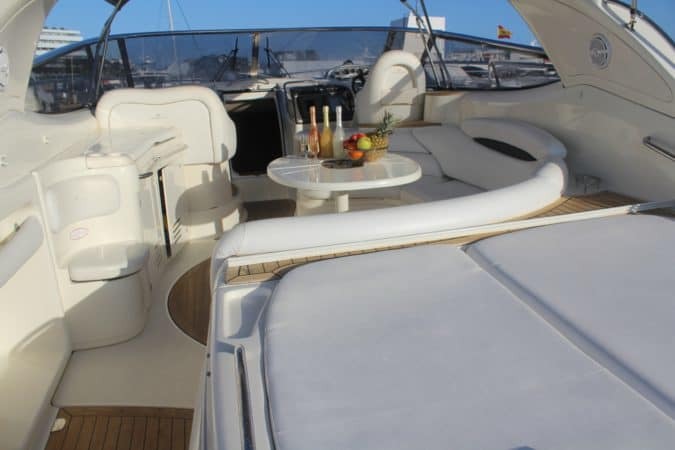 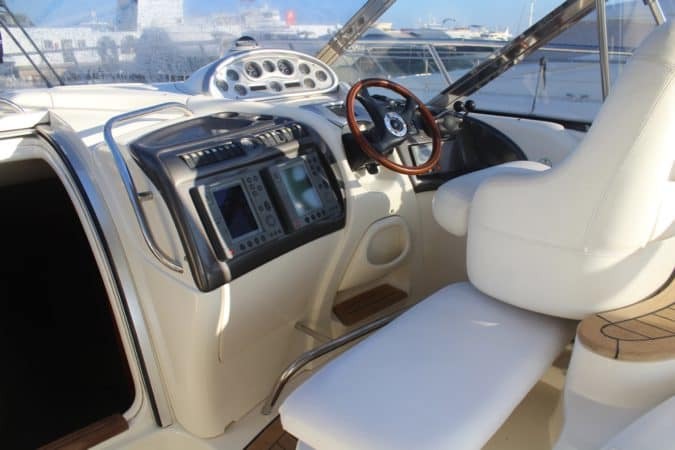 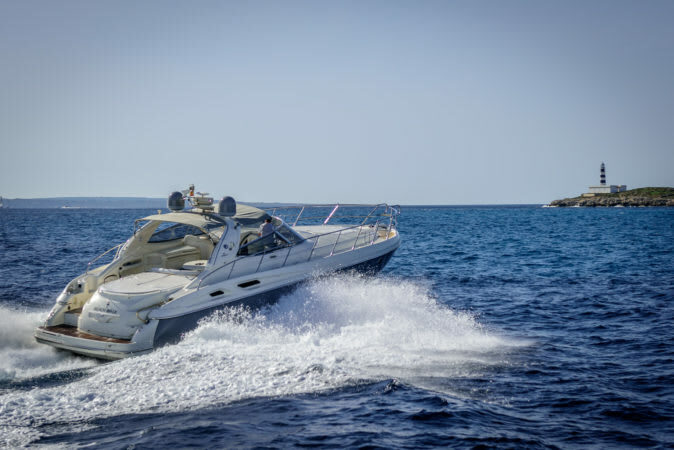 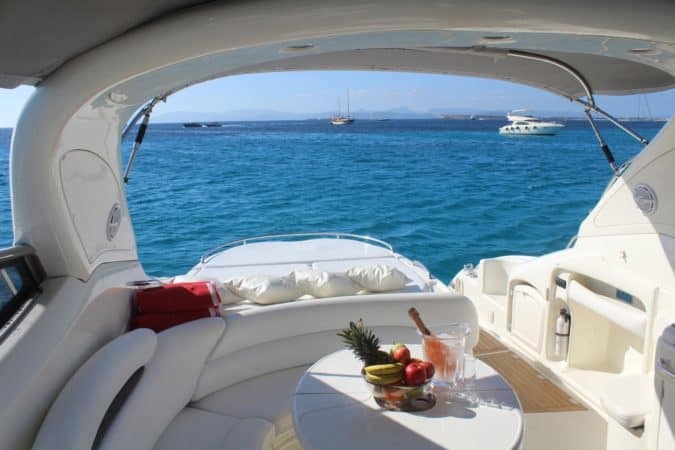 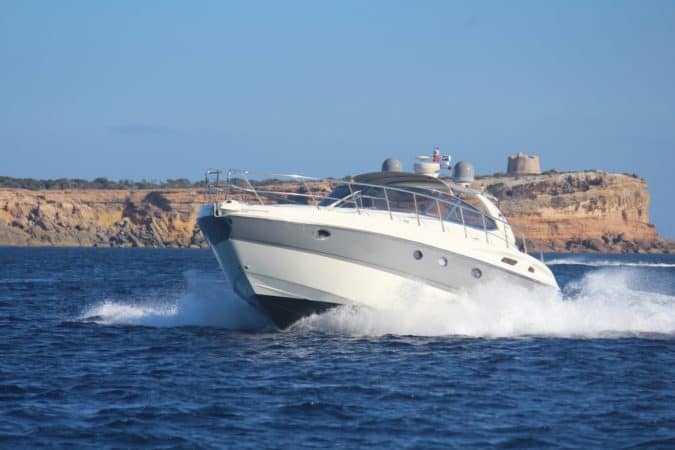 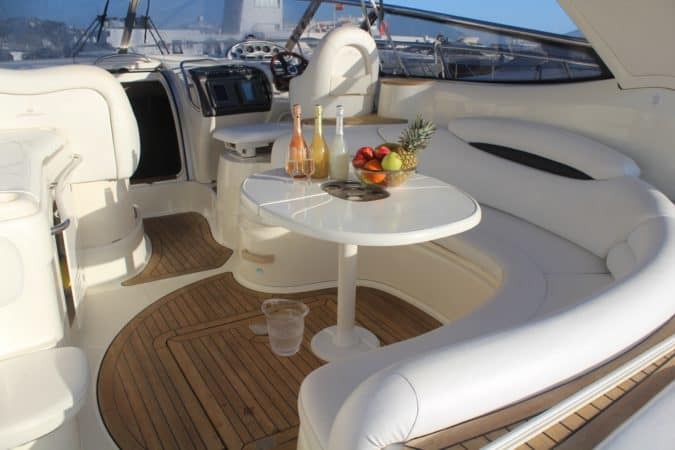 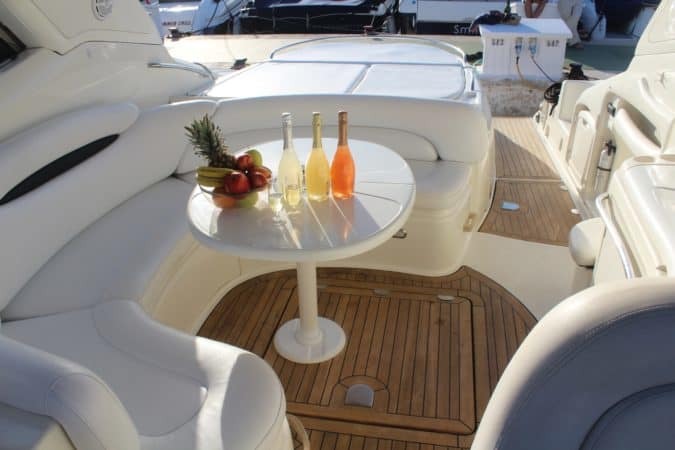 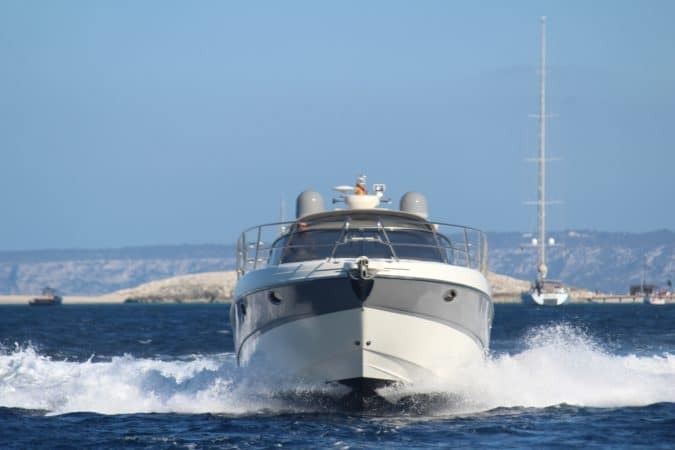 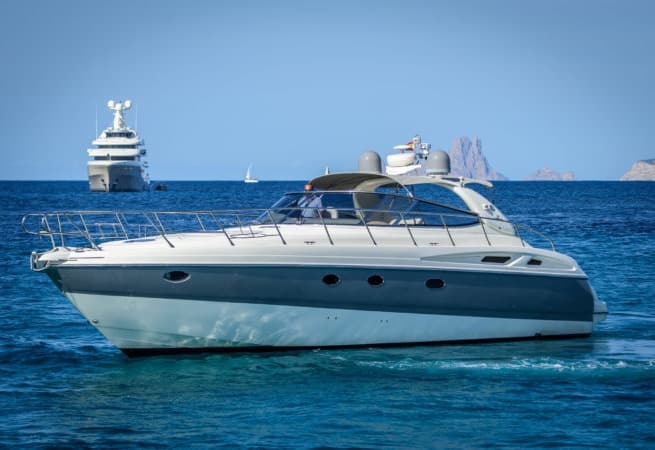 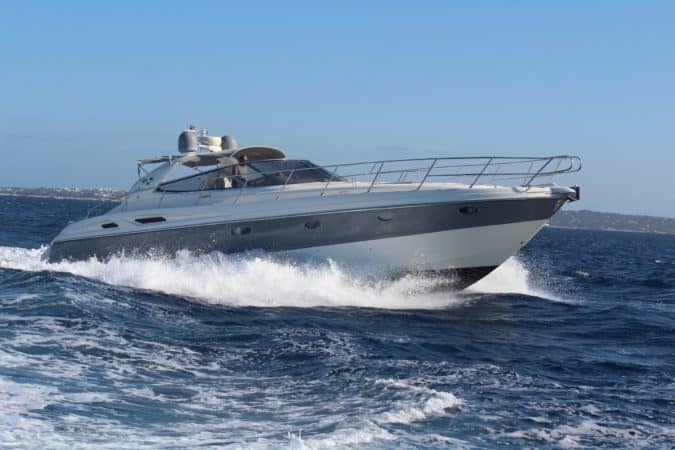 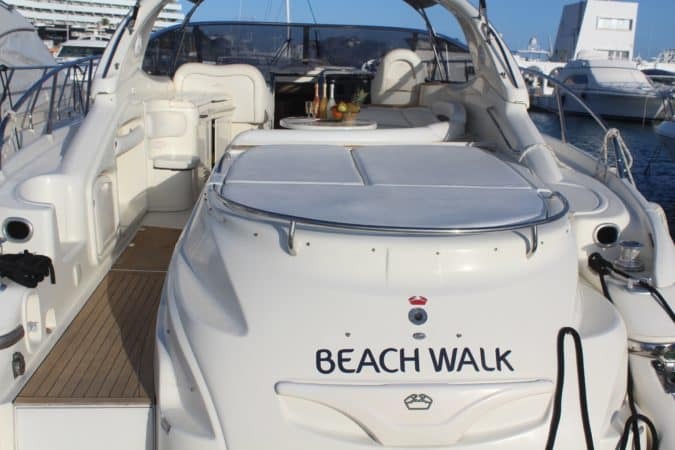 The 'Beachwalk' is a spacious, capable sports cruiser, based in the crystal blue waters around Ibiza. 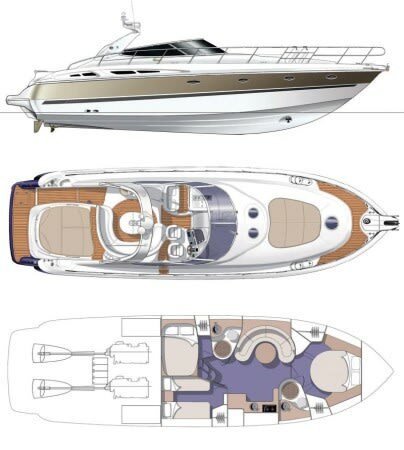 She comes complete with a luxurious lounge on the deck behind the cockpit, a generous swimming platform, and a speedy tender. 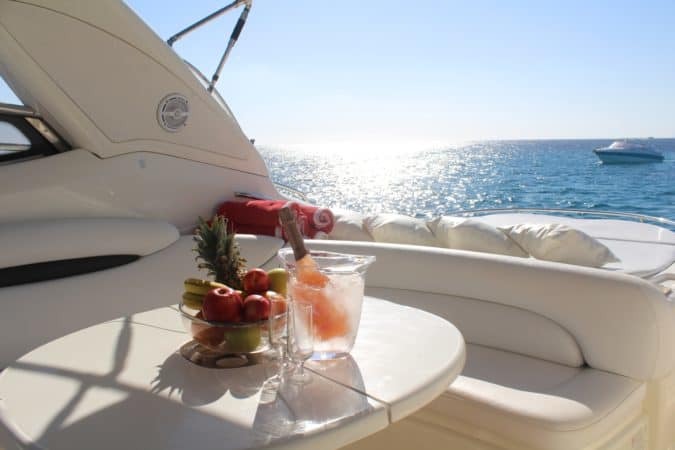 Both day charters and overnight stays are available. 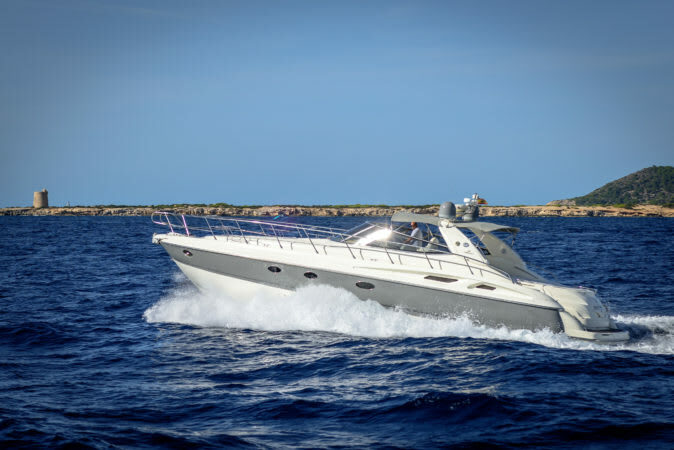 Prices start at €2662 (£2372 as of 15/08/2018) including VAT.